Login to your account and click “Account Settings” at the top of the screen. 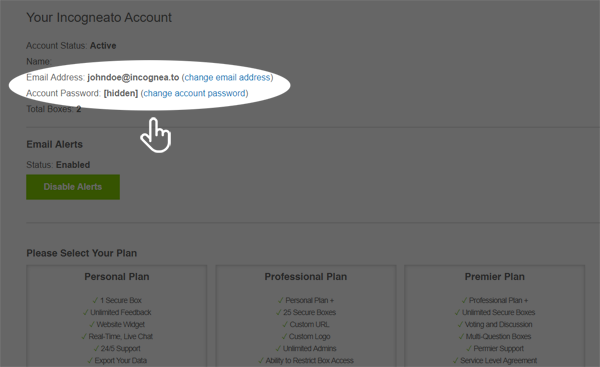 Click the “change email address” link to update your email address. Click the “change account password” link to update your password. Note: box managers can also change their passwords, but in a different location. See Box Managers: How to change your password for instructions.